Merry Christmas to you too Leah!! I hope you and your family have a great Christmas as well! Merry Christmas! That is just an adorable baby pic! Well isn't that the cutest gift under your tree! 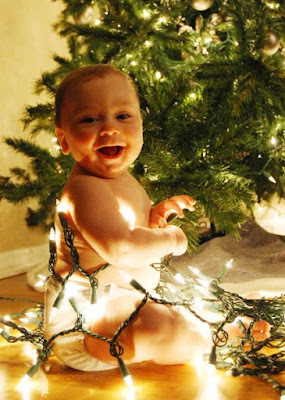 Enjoy your first Christmas with Isaac. Merry Christmas! Merry Christmas! I love that picture! Have a wonderful Christmas with your beautiful family! Merry Christmas to your beautiful family!!! adorable shot! have a very merry christmas! Merry Christmas! Christmas with a little one around is so much more fun... yah!? So incredibly cute! Merry Christmas Leah, Tony and Isaac!! Oh so cute!! i cant believe how big he is already. I love the blog header too! super cute! hope you guys had a wonderful christmas! Merry Christmas to you and your cute little family! What an ADORABLE picture! Thank you for sharing your talents and beautiful family with us!